It’s hard to find bag patterns that are suitable for men, so I decided to create a replica of the trusty bag that Jack Bauer always carries on “24.” Jack’s bag is basically a green canvas army surplus bag (although in later seasons he may have upgraded to something leather). I haven’t written up this pattern yet, but I have all the notes for it (someplace). This is one of the first patterns I plan to write up to include in my line of patterns I am developing. 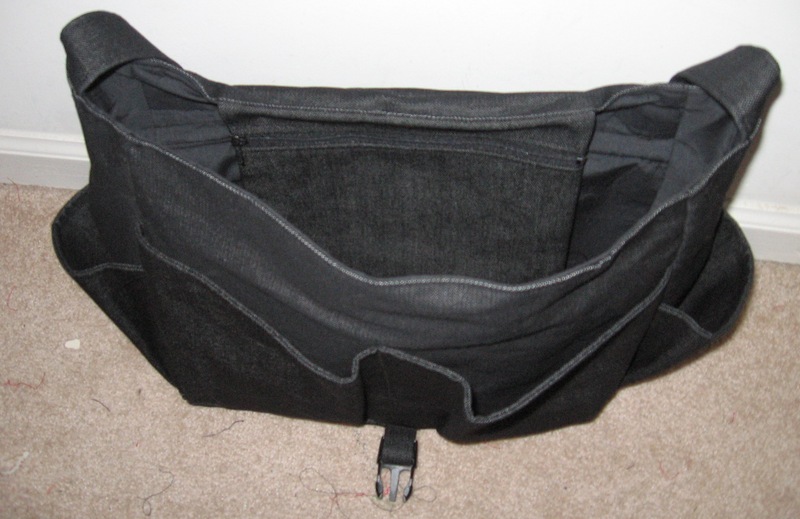 This bag has several exterior pockets, roomy interior, and a small zippered pocket in the lining. I plan to revise the pattern so that the handle is adjustable, and maybe add two front closures to it (instead of just the single one). 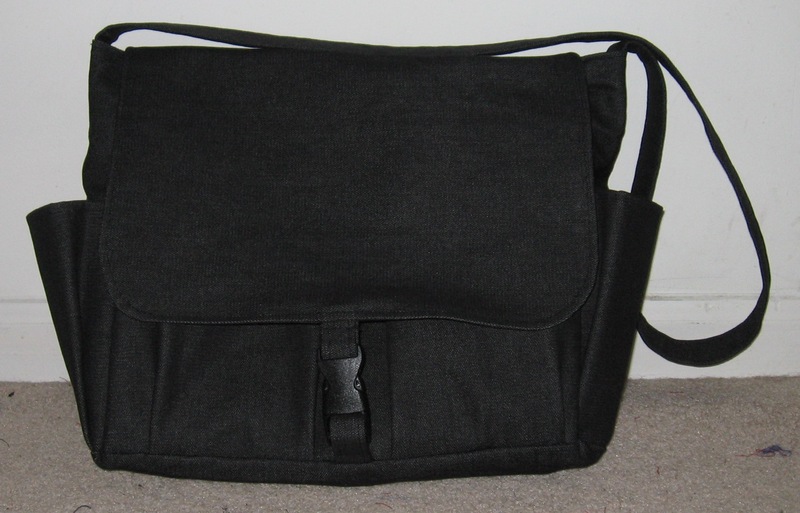 This bag is made out of black canvas, and I used a light black cotton for the lining. 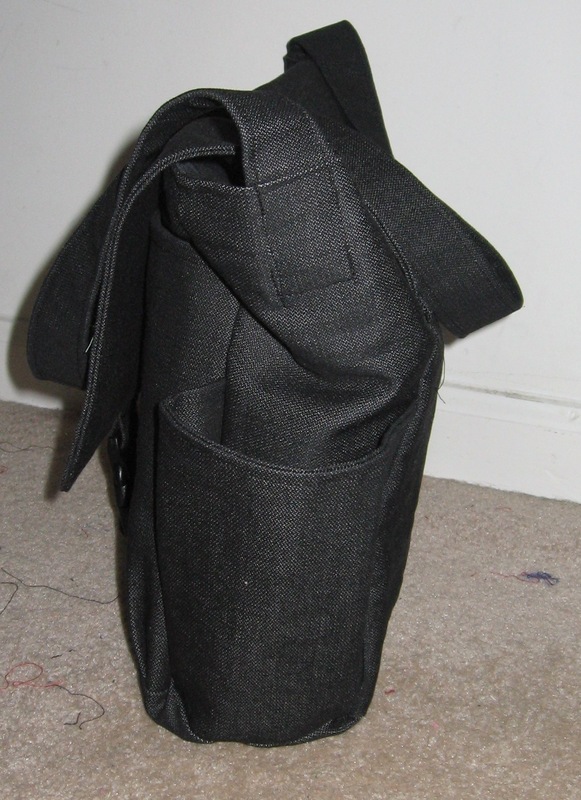 I broke at least two needles sewing the bottom seams where all the pockets, lining, etc. come together (the thickness is about 8 – 10 layers of fabric). This would look great in leather or any type of canvas. If making for a woman, you could even use some of the funky oilcloth with the super-saturated colors. I hope to have the pattern written up sometime in the next few months – so stay tuned! Please let me know when you have a pattern as I’ll be happy to buy one from you. This is just what I’ve been looking for! Sure thing! It should be ready this summer.